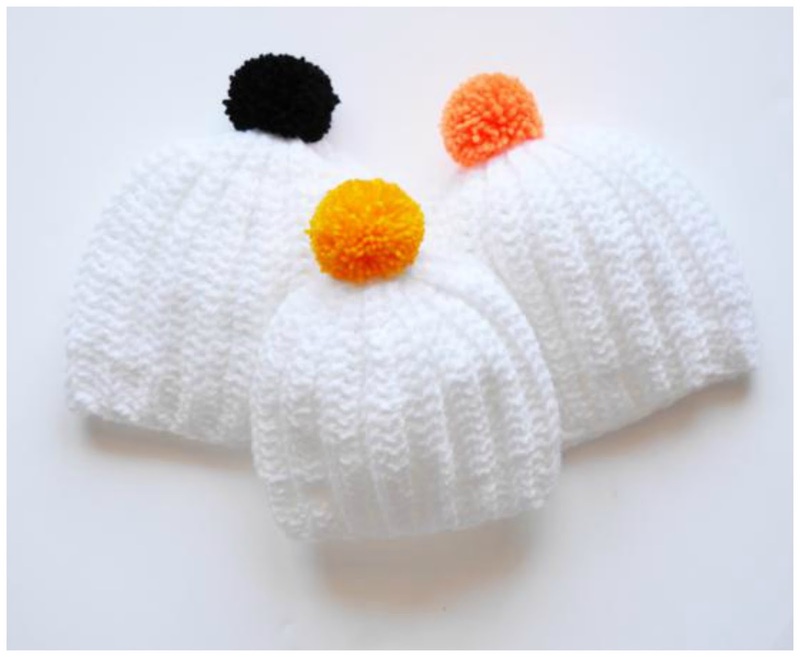 I also make these hats with a white wool and pom pom. The orange and yellow hats were for a gift.
" Mama! 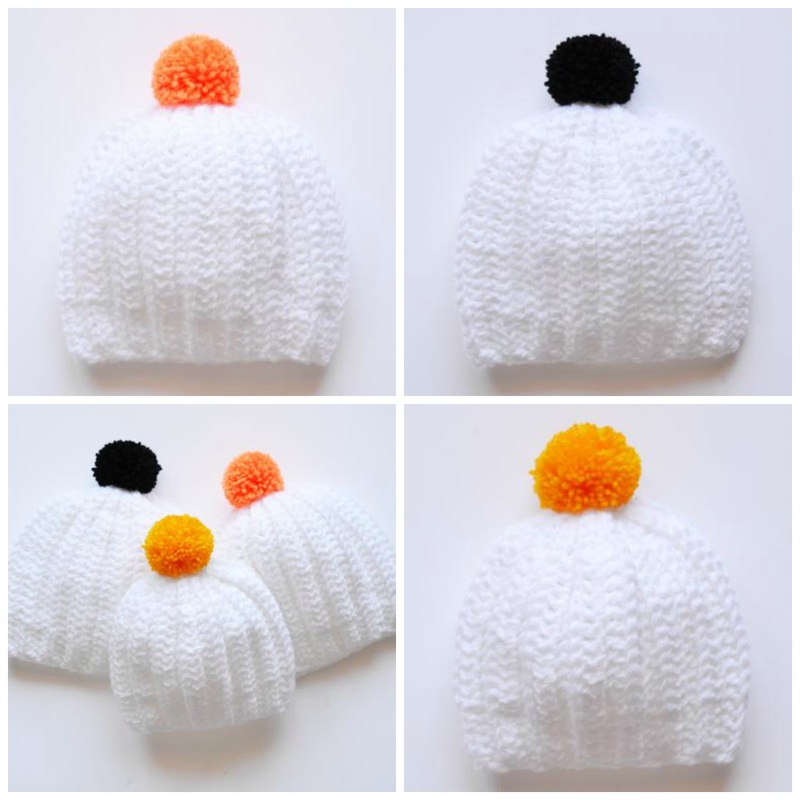 I want one for me, white and with a black pom pom!" So ... of course ... I made another hat to Carlota! "Mama! Mama! 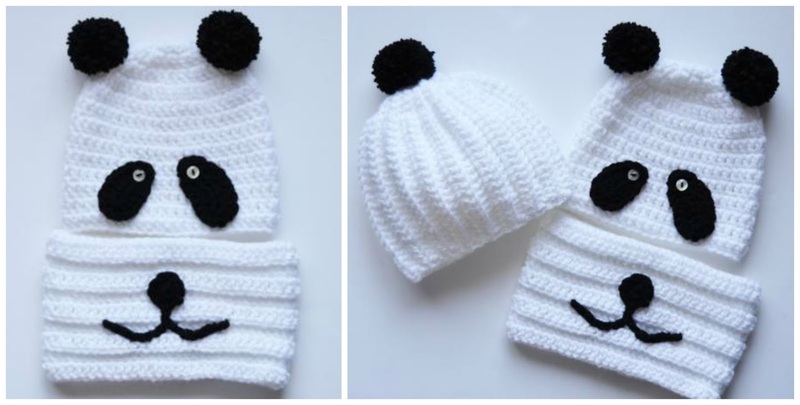 I want a hat like a panda bear!" So ... of course ... the mom makes for her the panda bear hat! and she wears this hat many days ago! I can not help but smile to see a panda bear so happy! that panda is so sweet!!!!!! Oh she is so lovely, Cristina, and such bright and beautiful colors she is wearing in the pictures. Pandas are the cutest animals ever, aren't' they ?~! Ostres! Quina cucada de Panda!! !